Reader Gut Reaction: Imagine my excitement when I heard that Our Jane was back, and tackling history for young readers in an illustrated/graphic novel-type format. Tanita and I practically grew up on Jane Yolen, and we admire her so much, in part because it seems as if there's nothing she can't do when it comes to writing for young readers. 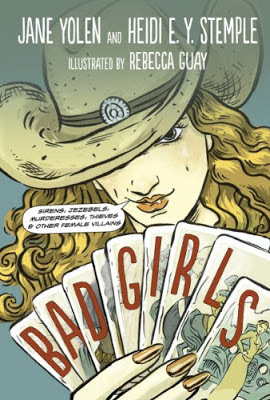 In Bad Girls: Sirens, Jezebels, Murderesses, Thieves & Other Female Villains, Yolen collaborates with her daughter Heidi and illustrator Rebecca Guay in chronicling the stories of 26 notorious women in history and legend, from the famous—like Cleopatra, Anne Boleyn, and the actual Biblical Jezebel—to the less well known, like the fascinating female pirates Anne Bonney and Mary Read (whose tales no doubt inspired those Bloody Jack books I can't get enough of). 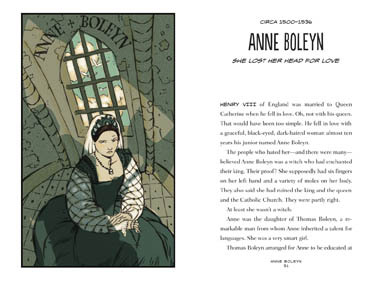 The book's format alternates between brief prose write-ups of each infamous lady—accompanied with an imaginative full-color, full-page illustration of each—and a page or two of comic panels with a sort of linking meta-narrative of Jane and Heidi discussing and debating each woman's guilt or innocence, each one's potential mitigating circumstances in the eyes of history. 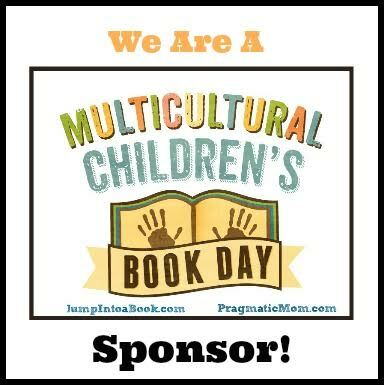 It's an interesting structural choice, one which I believe is designed to try to pull in readers of a variety of ages. The font size for the prose sections is rather large and the writing style clear and unadorned—these segments seem like they're meant to appeal to younger readers who might be reading the book with parents, while the comic panels bring in a more mature viewpoint that I see as more middle-grade or older. Concerning Character & Theme: While I have mixed feelings about the format of the book and its intended audience, I was riveted by the stories of each of the women, and this seems like a great jumping-off point for discussion and further research into their histories. Indeed, there are ample resources listed at the end of the book for those who like bibliographies (*ahem* me…), and I really enjoyed reading about the ones I either hadn't heard of or didn't know much about. Each figure is presented in a way that shows there is more than one side to every story, even when it's history, and it gets the reader thinking that it just might be possible some were victims of circumstance. Other women, meanwhile, might have been making the best of a bad situation, or might have suffered a bad rap for seizing control of their own lives during historical periods that didn't look kindly on women doing such things. Others, of course, might have been just plain bad. In that respect, the book gets you thinking about what it really means to be a "bad girl." It's an entertaining introduction to women's voices in history, as well as a fun way of exploring our cultural fascination with outlaws and hoydens. Recommended for Fans Of...: Richly visual interpretations of history, myth, and legend, like the various Olympian graphic novels by George O'Connor (Zeus reviewed here), or Outlaw: The Legend of Robin Hood (reviewed here). Review Copy Source: Publicist (Raab Associates). You can find Bad Girls by Jane Yolen and Heidi E.Y. Stemple online, or at an independent bookstore near you! I promptly added this book to my wish list. Sounds great! I love a good graphic novel. And since I have a female villain in my WIP, this will be inspiring.